Last week, the Council of Ministers approved an “additional budget” of 318,550,000 lekë (~€2.4 million) for the co-financing of the Lungomare beach side project in Vlora. The project, supported by the European Union, has been dragging on for years, even after Prime Minister Edi Rama promised that it would be finished before the 2015 municipal elections. On January 31, 2017, EU Ambassador Romana Vlahutin visited the construction site and claimed that the project would be finished by April 31. Instead, the government was forced to pour more money into the project three weeks after the deadline. Lungomare is not the only EU project which is suffering from mismanagement. Also the Vlora Bypass, contracted to the bankrupted Italian company Serenissima, has remained without any noticeable progress. In total, the EU has invested €47 million in construction projects around Vlora. 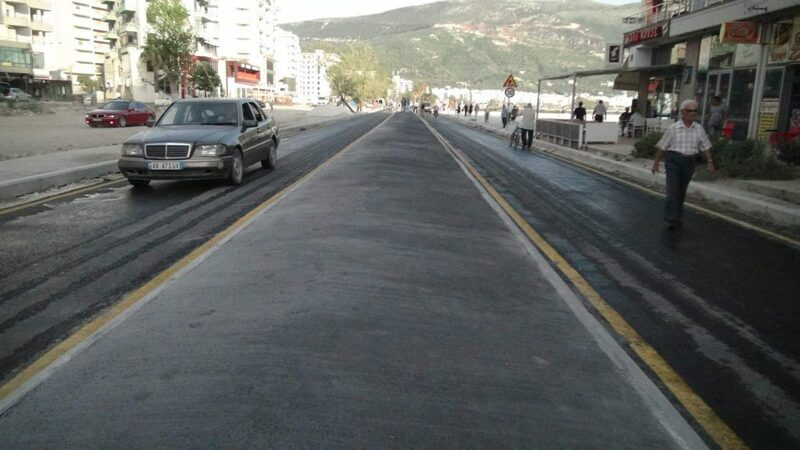 The construction work that has actually finished in Lungomare is expected to hugely increase the traffic issues along the Vlora coastline, as the road has been narrowed into single lanes divided by an elevated strip of concrete. As long as the Vlora Bypass remains unfinished, all holiday traffic to the Albanian Riviera will have to pass through this “renovated” bottleneck.